“Irassyaimase! Osukina seki douzo,” welcomes a young woman warmly, telling guests to sit where they like. 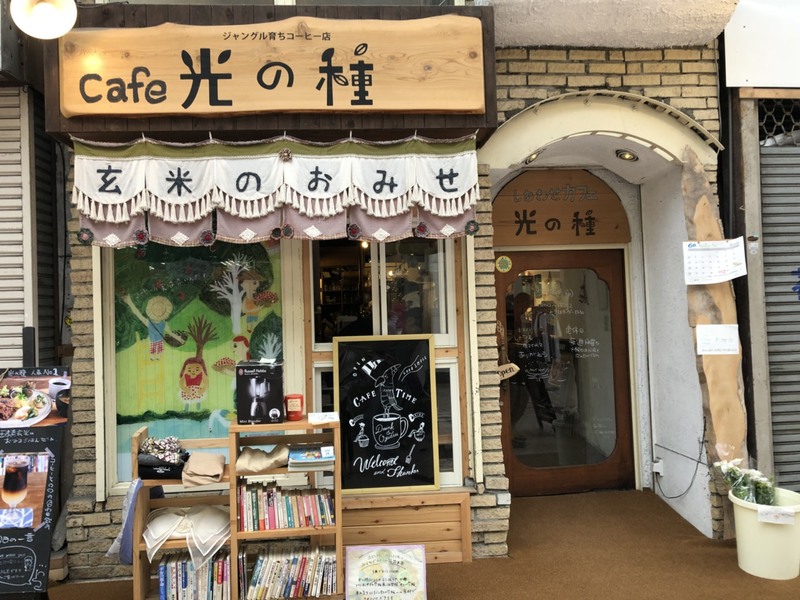 The entrance sign says this bright wooden interior is the café Hikari no Tane. The delicious smells of coffee and food fill the air. 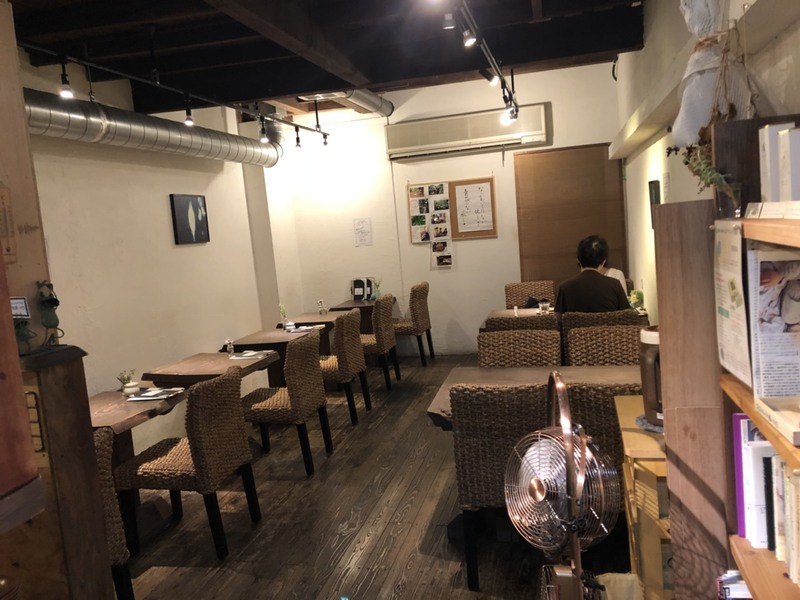 Hikari no Tane is a café that uses organic food made in Japan and organic coffee beans from Thailand. Hikari no Tane buys organic coffee beans from Thailand at a fair price including the aim to help indigenous people in Thailand. 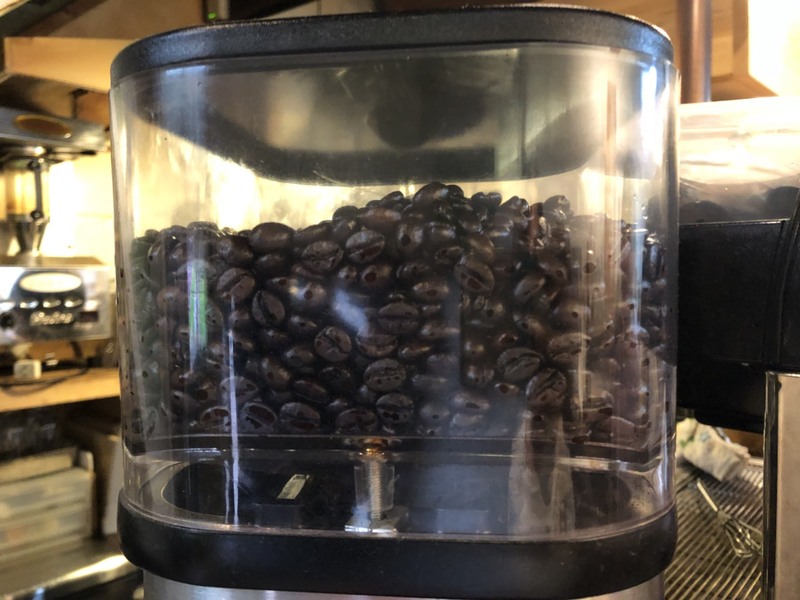 Hikari no Tane uses organic coffee beans from Thailand, natural food, and traditional seasoning made in Japan. In Japan, this organic coffee can be enjoyed only here. In fact, many of the producing countries are cultivating the coffee plantation. But when the land becomes overfarmed, many use agricultural chemical and repeat it. Using agricultural chemicals is bad for health and the environment. Some workers work at cheap wages to support the consumption of coffee and eroded by pesticides. “This coffee tree is about 30 meters high, and it crosses the river where beautiful water runs and is where the sunlight falls in Thailand,” says the shop owner, Mr. Tamaki. “These coffee beans are picked up by indigenous people and sun-dried by orphanage students in there.” This coffee is not only gentle to the body, but it can protect nature and protect the lives of distant people in Thailand. Mr. Tamaki also runs an orphanage in Thailand. Unfortunately, indigenous people didn’t know how to drink coffee, so they drink instant coffee that is expensive. Ms. Otani shocked that. 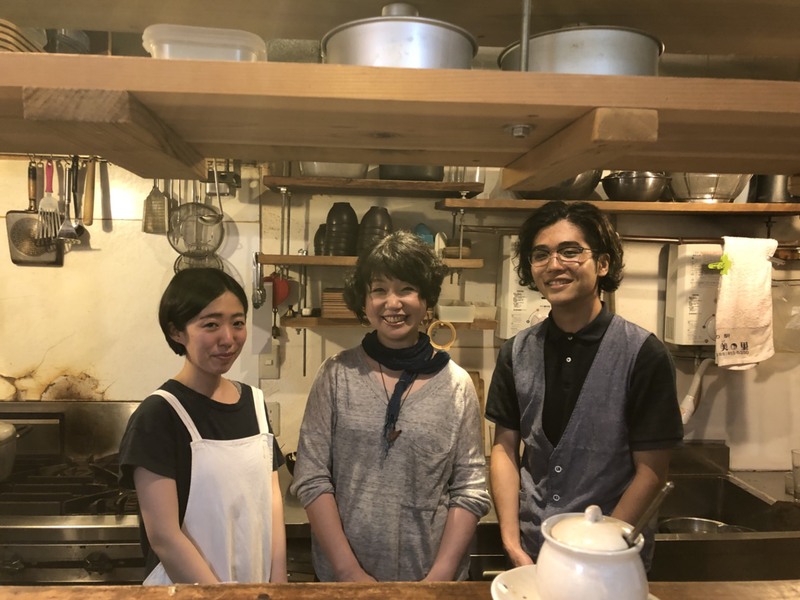 After that, Mr. Tamaki and Ms. Otani opened the café Hikari no Tane to drink the coffee. They don’t use white rice, butter, frozen processed food, and chemical seasoning. 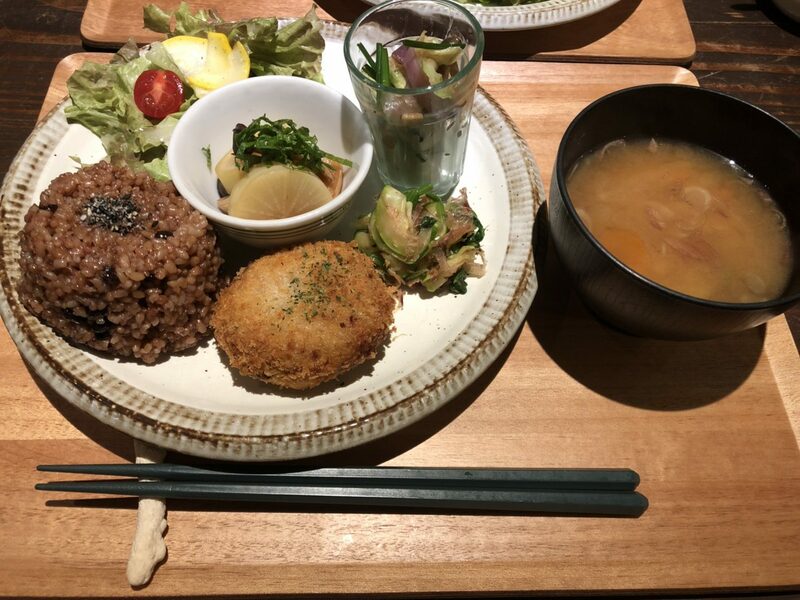 They use enzyme brown rice, rice oil, food made in Japan. 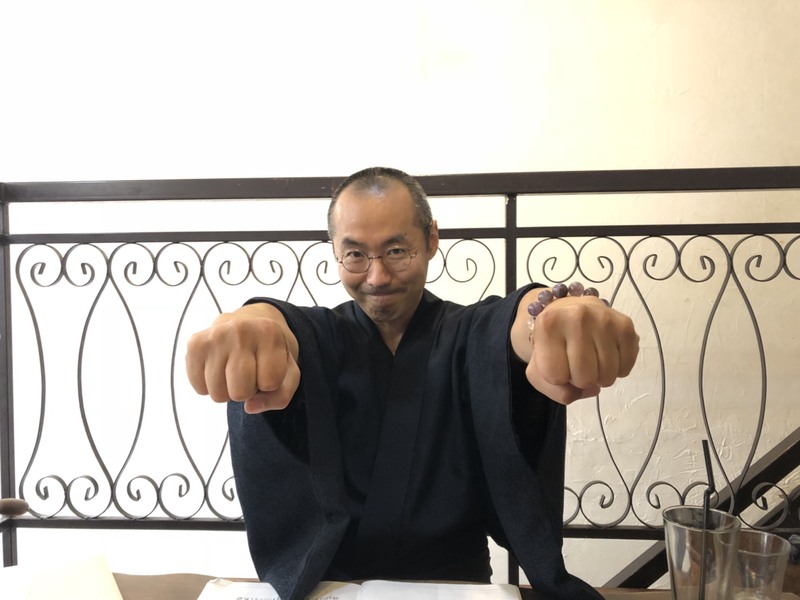 Mr. Tamaki, the chief priest of a Buddhist temple, teaches people how to fast. “Many people have toxins in their bodies, says Mr. Tamaki. 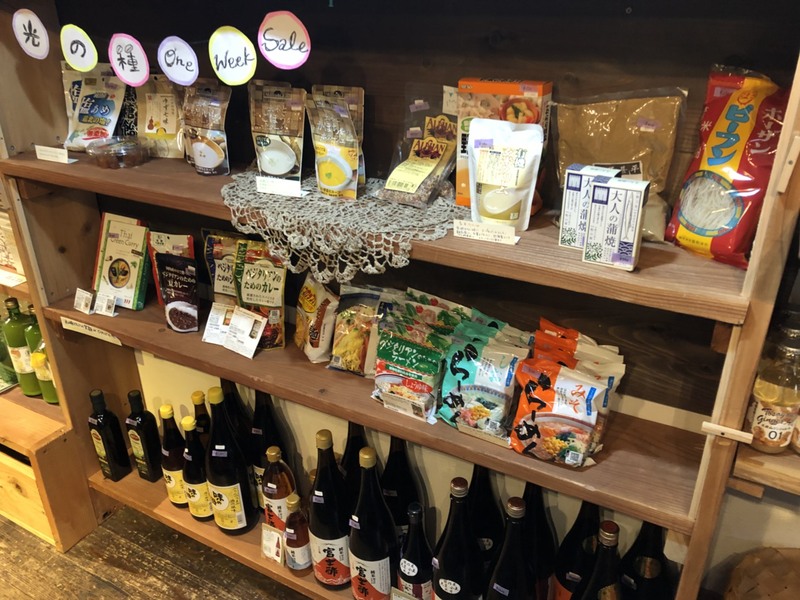 “These are related to foods like used chemical seasoning or food additives.” These days in Japan there are a lot of instant foods and frozen processed foods that can cook for a short time. However, these kinds of food are bad for health. The shop staff member like to cook something with time and effort. Unfortunately, Hikari no Tane is going to close in December. However, they plan to reopen after a renovation of the shop and changing the location. “I want to do many things,” says Mr.Tamaki pleasantly. They continue to serve healthy foods and message to think about food, background or something. Hikari no Tane keeps a safe and secure place for everyone. it is a great news to know about an organic cafe in Kochi. i would love to visit it some day. I want to go there to eat helthy food and drink coffee. I do want to visit and try organic Kochi food and organic coffee! I also can’t wait to go here after renovation!